Microsoft Kinect has given a fresh lease of life for Microsoft’s Gaming department, couple of years back when the XBOX 360’s where failing with Ring of Death, Many experts predicted the fall of the Redmond Giant in one more category. But in 2010, Microsoft is still growing strong, rather has become the buzz of the holiday season with the launch of its innovative hands-free motion sensitive controller the Kinect. 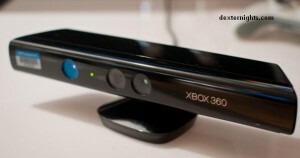 Coupling with the slimmer XBOX 360 S (2010), the combination is proving to be deadly in negotiating Sony’s PS3 (with Move) and Nintendo Wii. There is a crazy demand in the market for XBOX Kinect which is usually associated with iPhone launches and seen in other cases like Amazon’s kindle and Nintendo Wii. Microsoft has gone low key over the last few years and has started showing some good results. But coming to the Kinect, when Microsoft showed some demo’s of the Kinect concept sometime back, I was wondering how long it will take for Microsoft to come out with a practical device for public use. But to everyone’s surprise MS has come out the device in a much short time and a very affordable price point of $150. When you buy the Kinect in a XBOX bundle it becomes even more cheaper. If one thought Wii was a new concept in Gaming, Kinect definitely takes it to the next level. Now with Kinect not just gaming but a whole new suit of medical and practical applications of the device will surely hit the market. Imagine a Therapy DVD which will monitor and correct every step and move of the patient and so on. Lets wait for couple of more months to see more Game titles and applications of the Kinect.